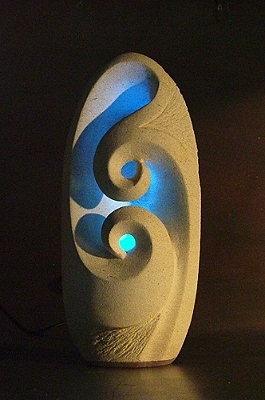 Sculptures like this Oamaru stone LED lamp are made to order. They are a beautiful combination of sweeping lines from the stone sculpture with the smooth slow transition of colours emanating from the led lights which has taken stone carving to another level. SPECIFICATIONS: Note sizes may vary. 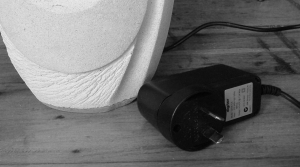 DETAILS The lamp runs on a regulated plug with an output of 4.5 volts.